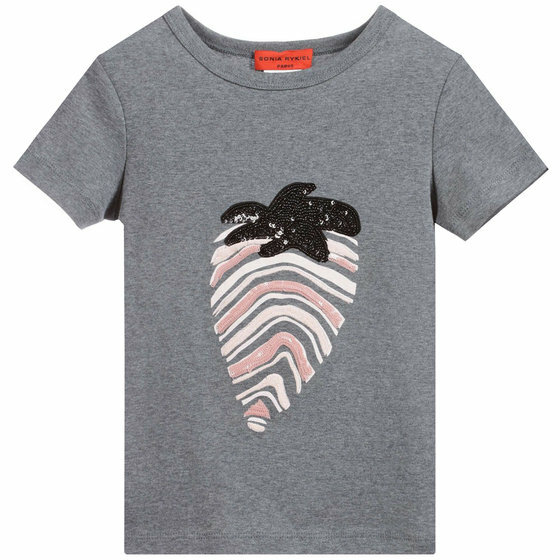 Soft and comfortable T-shirt by Sonia Rykiel Enfant, Paris. A fancy embroidered strawberry print on the front, embellished with sparkling sequins. Made from 100% cotton jersey.